Superintendent of Blanchard Public Schools, Jim Beckham, says if schools used property taxes for teacher pay, there’d be big inequities from district to district. Senate Bill 887 would allow schools to spend the money in their building fund on anything they want including books, classroom supplies, and teacher salaries. Currently, state law restricts that money for buildings, repairs and maintenance. Superintendent of Blanchard Public Schools, Jim Beckham, says the legislation appears helpful. But Beckham thinks it’s a bad policy. “There’s an inequity, a basic inequity, built into this bill,” he says. School building funds are fed by local property taxes, which vary wildly from district to district. 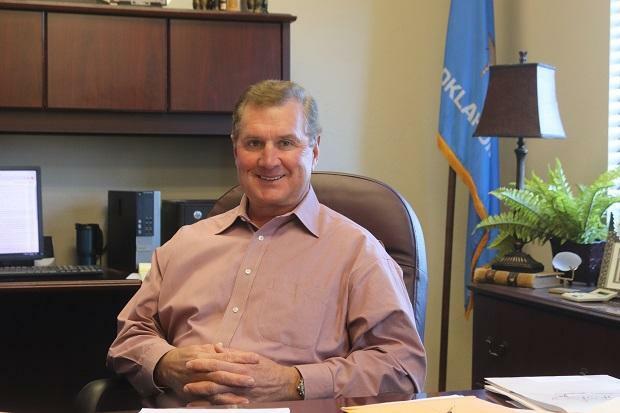 Take a city like Blanchard, for example, where there’s not a lot of industry and compare that to Newcastle, just 10 miles away, which has a Walmart, a casino and a power plant. This disparity in business activity means Newcastle has more money in its building fund than Blanchard. Beckham worries if legislation like SB 887 passes, Newcastle could pay teachers more — and possibly bait away some of his staff. Newcastle Superintendent Tony O’Brien says he understands Beckham’s concern. He thinks the bill would worsen inequalities between districts. However, O’Brien says even if his district could tap ts building fund, it wouldn’t be stealing teachers anytime soon. The Newcastle building fund is all used up, he says. “It’s not like I have a bunch of money sitting in there, floating in there, to throw at my teachers,” he says. “We still have to repair air conditioners, we still have to repair heaters at this time of the year. O’Brien says there are some Oklahoma school districts that could benefit from legislation like SB 887, and that’s the small number of schools that already get so much money in local property taxes they don’t receive any money from the state. Both superintendents say what their schools really need is for lawmakers to raise teacher salaries statewide, and send more revenue to schools for education. Sen. Brecheen says he never intended this bill to be the answer to Oklahoma’s teacher pay problem. He understands that’s going to require more work from the Legislature. Brecheen instead says he hopes the legislation could be a temporary fix, giving schools more spending options until lawmakers find consensus on a more permanent school funding solution.